Australia is a scenic, beautiful, highly advanced, economically developed and peaceful country in which many people seek to study, work, live and migrate to. The state provides different categories of visas for individuals to visit, travel/tour, study and migrates to the country (i.e. immigration to Australia). 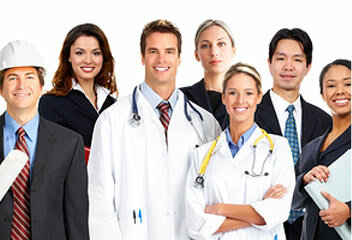 There are different types of visas for skilled professionals to work and migrate to. There are provisions such as ‘EOI’ (Expression of Interest), points calculator (i.e. the Australian Immigration Points Calculator), etc. , under the different types of skilled workers programs for prospective Australian skilled workers. While some of the visas are ‘temporary’ (fo a temporary stay), the others are ‘permanent visas’ (for permanent stay). Thus, there are categories available for skilled professionals who intend to be temporary or permanent Australian Skilled Workers depending upon whether the applicant has to be nominated (by a government agency), or sponsored by an employer, should/can opt for ‘EOI’ (‘Expression of Interest’) and score points under the Australian Immigration Points Calculator, etc. But, among the many categories indicated above, there are categories which also include a requirement for a ‘points based calculator system,’ which is called the Australian Immigration Points Calculator. In particular, the migration/immigrant visas, Skilled – Independent (subclass 189) visa and Skilled – Nominated (subclass 190) visa are the visas for immigration for skilled professionals through a points-based system also referred to as the Australian Immigration Points Calculator system. Under the Skilled – Independent (subclass 189) visa, the applicant who is a skilled professional provides his/her details, also provides an ‘EOI’ to the concerned immigration authorities of Australia. Further to providing details under ‘SkillSelect’ and expressing his/her interest through an EOI, the skilled professional (i.e. the applicant) who seeks to be a lawful Australian skilled worker will also have to get a pass mark on the Australian points-based skilled migration system. But even before doing that (making an EOI request/application), the applicant ( a skilled professional who seeks to be an Australian skilled worker) must check to verify whether or not his/occupation list is on the SOL (Skilled Occupation List. Similarly, in the case of the skilled professional under the category, subclass 190, the applicant must have the similar/same requirements/eligibility conditions as in the case of ‘subclass 189’ and check to verify whether or not his/her occupation list is on the CSOL (Consolidated Skilled Occupation List). And, in both cases, subclass 189 and subclass 190, their skills must be assessed by the relevant assessing authority. Once these processes are completed, in both cases, the applicants who intend to be Australian Skilled Workers must be invited to apply. Once that is done, their applications are considered with respect to the ‘points calculator’ which is the Australian Immigration Points Calculator, which assigns numerical points based on criteria/factors such as ‘age’ (less than 50 years), ‘English language ability’, ‘overseas employment’, ‘Australian employment’, ‘professional years’, ‘educational qualifications’, ‘Australian study’, ‘studying and living in regional Australia’ ‘credentialed community language’, State/Territory government nomination’ and finally ‘designated area sponsorship’, ‘partner skills’. If the skilled professionals waiting to be Australian Skilled Workers get or obtain a mark based on this Australian Immigration Points Calculator, which mark/point is more than the ‘pass mark,’ he/she is considered to be eligible for migration to Australia (i.e. immigration to Australia).